Are you looking for a new way to make this old-school favorite? You can make healthy hush puppies using Greek yogurt and without frying. Watch: How to bake hush puppies. Heat the oven to 400 Fahrenheit. Lightly coat a muffin pan or baking sheet with cooking spray; set aside. In a medium saute pan, add oil and saute the onions until soft and tender, about 5 minutes. Set aside to cool. In a medium bowl, combine the remaining ingredients with the cooked onions. Mix well. Mixture should be fairly thick. 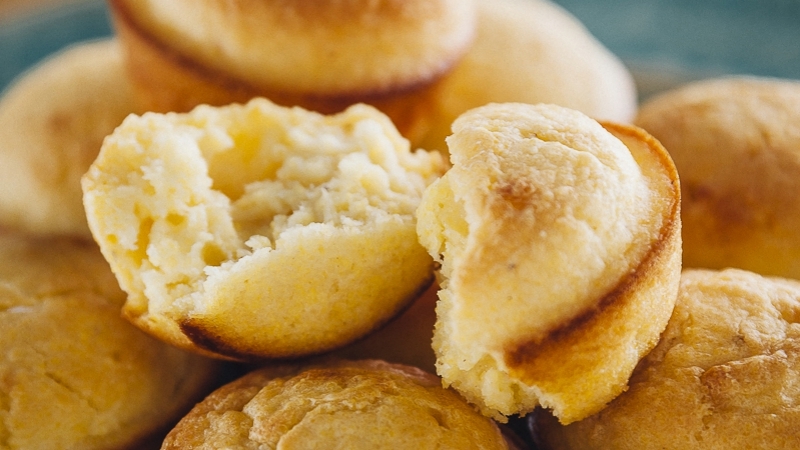 Place ¼ cup of mixture into each muffin slot or spread mixture on the prepared baking sheet. Bake for 18 to 22 minutes or until a toothpick comes out clean. Serve warm. Nutritional information per 1 hush puppy: 134 calories; 4 g total fat; 0 g saturated fat; 0 g transfat; 2 g monounsaturated fat; 32 mg cholesterol; 230 mg sodium; 20 g total carbohydrate; 0 g dietary fiber; 2 g total sugars; 4 g protein.